Looking for private in-home or in-studio Songwriting lessons? Our Loma Linda teachers are ready to get you started. Find your teacher today! I have been teaching songwriting for over four years. These lessons are wholly rewarding as I love to conduct it as a "jam session" of sorts, helping my students frame their ideas into versus-chorus form, as well as helping them with basic music theory and sheet music transferring digitally with Sibelius 7 or in paper form. Learn a method for great songwriting that effectively expresses your ideas and emotions. No need to understand music theory or write music notation. In this series you'll be equipped with a range of tools that revolve around the concept of using patterns of stress and intonation to coordinate lyrics and music that will carry and communicate your idea. Learn how your favorite songs work, what patterns are being used and what the song is really doing. Learn to write your own!! What chords work together and why! What parts go where and why! The harmonies to the music, why they work and what they are really implying! Writing multiple parts to a song (Rhythms, leads, melodies and solos). We can even record and work on your own songs at my studio! For about five years now, I have been actually completing playable music. The past couple years, my school's jazz combo has even taken a couple of my songs to compete with at different jazz festivals. I have studied under the fantastic composer, guitarist, and teacher, Tom Hynes the past couple years. Prior to my studies, I was self taught, as a way of expanding my improvisation. I write primarily for Chamber ensembles, Jazz small ensembles, and even some pop music. I use Handwritten, Finale and Logic pro for notation, so whichever is most convenient, I'll use. In lessons, I will ask students to bring in material they have written each week, which we will review together. I'll add some suggestions, but will not change the integrity of the music, just refine it. We shall look at composing in different styles, as well as expanding upon the styles in which the student is most interesting in pursuing. Chord Progressions, Melody writing, Lyricism, Song Structure, Instrumentation, Programming, etc. I have been songwriting for many years, and continued to study the art of songwriting formally in college. My understanding of music theory enables me to share with others the primary methods many famous songwriters use to construct their songs. We will analyze that process together, and use those tools to help you write your very own songs! I began my musical journey at the age of 7, when I received my first drum kit and was enrolled in drum lessons by my parents. Though they themselves were not musicians, they were supportive of my interest and eventual obsession with music from the very beginning, which is something I will always be thankful for. As you may have guessed, I continued to make music and even went on to learn more instruments, including the guitar, bass, piano, and vocals. I didn't know it at the time, but learning all these instruments and understanding how they interact with one another in a band setting was ultimately setting me up to become a proficient musical arranger and songwriter. gwriting efforts. In 2014, we were lucky enough to make it on the Vans Warped Tour and play for crowds of thousands of people. In 2016, I graduated from Cal Poly Pomona with a B.A. in Music Industry Studies, a program which not only emphasized an understanding of recording technology and the music business, but also focused highly on promoting musicianship and music theory comprehension. Following graduation, I have continued to work in live audio, namely as Audio Visual Coordinator of Associated Students Inc. at Cal Poly Pomona. In this position, I supervise a team of 6 student audio visual technicians, which has allowed me to realize my potential as a mentor and educator as I help to develop my student's skills in audio and visual technology. I am looking forward to prospect of dedicating more of my time toward helping others begin or continue their own musical journeys. I can proficiently teach drums, guitar, and bass (though we may use the piano to discuss music theory). I have all the necessary gear to teach these instruments in my home, so in some cases you may not even need to bring anything to your lesson! I am also open to commuting to your own home if this is more comfortable for you or your child. Thank you so much for taking the time to look at my profile, and I hope you will consider taking your next drum, guitar, or bass lesson with me! Brayden is such a great instructor. I took drum lessons with him and he was very patience in teaching me how to use my limbs independently. He is a very passionate individual which aids in inspiring another to learn. Greetings! Alec is the Piano Teacher for Kids in Orange County. Along with tutoring piano, he is also a music composer for film, video-games, and multi-media. With over 15 years of piano-playing experience, and 5 years of teaching, Alec is happy and excited to achieve whatever your child's goals are in playing the piano. Alec's foremost philosophy in teaching piano is following the student's goals and dreams, not his own. While curriculum work is certainly vital, it is far more important that his students receive help they need in accomplishing their biggest aspirations in music. Whether your child wants to be a music composer, rock-star, or just playing for their loved ones, Alec can bring them closer to that goal. Alec specializes in personalized piano tutoring for kids. He has instructed children from ages 5-17 and also teaches adult beginners as well. 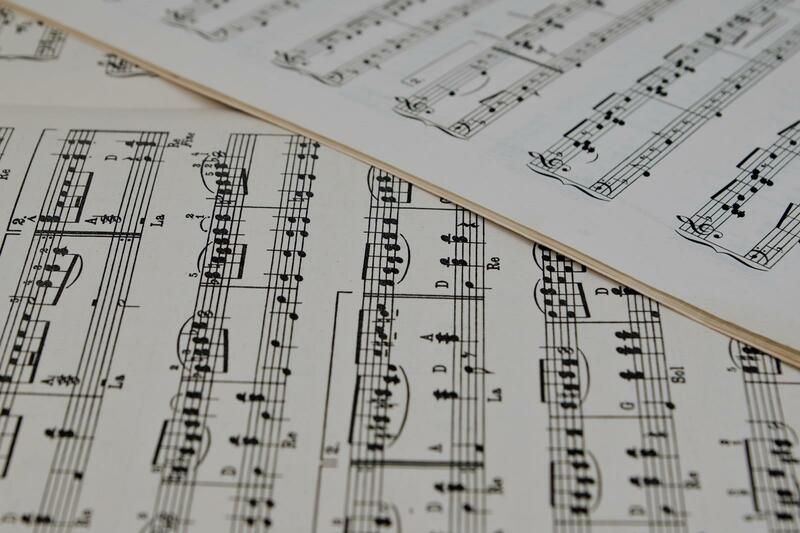 As a piano instructor and music composer based in South Orange County, Alec has accumulated a wealth of knowledge in both classical and contemporary music and how it's constructed. For over 15 years, he has been an accomplished pianist and music composer. Alec's promise to you is to deliver lessons that are of exceptional quality and student focused! - 1-Hour Lessons include ear training! In ear training, we develop our inner ear, the ability to accurately hear and identify musical elements in our head while reading, listening to, and thinking about music. This form of training is guaranteed to help your child learn music faster and anticipate various musical elements. - Learn all the styles of piano; from classical, to jazz, to contemporary and beyond! - An adult beginner and want to learn? Feel free to join in too! - Alec combines both the Suzuki Method, and the Faber Method in his teaching. The Suzuki Method focuses on memory, repetition, and ear training while the Faber Method uses helpful visuals to promote learning. Need your child to start piano lessons soon? Contact Alec for more information and he will get back to you within 24 hours. From the first time Alec met my grandson he was understanding, encouraging, extremely patient and knowledgeable. The next lesson assignments were clearly written out with the expectation that time would be allowed for daily practice. I got so much value for my daughter's piano lessons. I was surprised when she played her own songs to me. On top of that, Alec was very on top of things when it came to lesson planning, homework, and attendance. If you are new to piano, I would recommend signing up with Alec. As the parent of my child who took lessons, Alec is by far one of the most organized tutors around. My daughter got through her first book at lightening pace and we are excited to continue taking lessons. Writing music can be one of the hardest things to do, but it can also be the most rewarding. Writing music is my passion. I have developed a curriculum designed to break down the process of writing music through a theoretical, conceptual and creative approach. I believe creativity is something that can be taught. Like any type of music, it is a skill that when practiced the right way, can improve. I can teach composition of any genre of music from singer-songwriter music, to rock/pop to advanced modern jazz. Together we will work to help you write your own songs and unlock the creativity you have in you. With years of teaching and gigging experience in a wide variety of musical styles, I can teach students whatever they are interested in learning. I believe the most musical improvement occurs when the student is having fun with the process of learning. My lessons are a fun and relaxed environment where my students will learn about music as a whole while we talk about the specific subjects the student is interested in. I primarily teach trumpet and songwriting. Trumpet students can expect noticeable improvement from week to week through my unique teaching approach. Anyone can tell you to practice scales out of method books, but my teaching incorporates a theoretical foundation helping my students understand music as a whole. In my own experience, this has helped me the most in my own trumpet playing. o have their own songs written from month to month as we work to demystify the difficulty of song writing. I have developed my own unique approach to songwriting designed to make the process easy and methodical. I graduated from Whitman College in 2015 with a degree in Jazz Studies. By that time, I was already teaching and actively gigging in the Eastern Washington area. This year I moved to Portland Oregon where I currently reside and am an active member of Portland's music scene. I have performed in large jazz ensembles, symphony orchestras, pit orchestras, ska bands, salsa groups, and jazz combos. I will be releasing my debut studio album this year comprised entirely of my own compositions that I have been working on for three years. My other interests include weight lifting, running, hiking, and cooking. Quiz: What Should You Write Your Next Song About?